Watch full Dragon Ball Super Episode 116 English Subbed online for free in HD. Full HD Dragon Ball Super Episode 116 English sub streaming online. The Signs of a Comeback! Ultra Instinct’s Huge Explosion!! To counter Goku’s increase in power, Kefla powers up to Super Saiyan 2. Now at full power, the two of them face off. 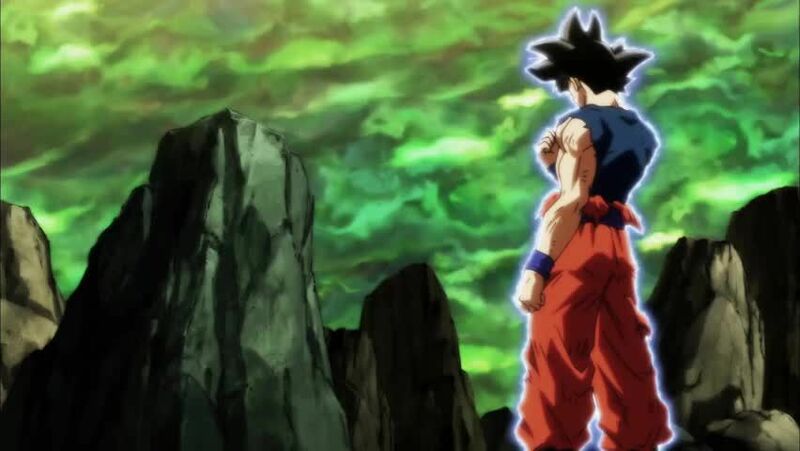 Goku still easily dodges Kefla’s attacks, but his own attacks are not enough to take her down, as launching his attacks interferes with his concentration and prevents him from using Ultra Instinct to its full potential. Jiren senses the energy from their battle, prompting him to awaken from his meditation and rejoin Toppo and Dyspo. Vegeta realizes that Ultra Instinct is the level of skill that Whis was training him and Goku to attain, and decides that he must reach it too. Goku begins running low on stamina, so he declares that he will end the fight with his next attack. Kefla panics and unleashes her ultimate attack, a multitude of deadly energy beams. Her attack devastates the ring, but Goku easily dodges through her blasts while charging a Kamehameha. Goku jumps into the air, so Kefla focuses all of her power into a single blast and launches it at him, taking advantage of his apparent inability to dodge; however, he backflips over her attack and launches his Kamehameha at point-blank range, blasting her out of the ring and eliminating her. Her Potara earrings shatter, and she splits back into Kale and Caulifla. With them both eliminated, that leaves Saonel and Pirina as the only remaining warriors from Universe 6.